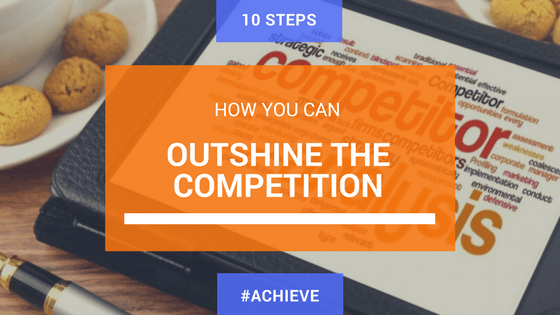 When was the last time your business performed a competitor analysis? If you’re not routinely running an analysis, you’re missing out on valuable insights that could help your business grow. What products or services do they sell/offer? What types of media are used to market their products and services? Local Businesses that offer a product or service that could pass as a similar substitute for yours. Local Businesses that provide products or services that are not the same but could satisfy the same customer need. Are they a low-cost or high-cost provider? Are they using different pricing strategies for online purchases versus brick and mortar? Are they active on any Social Media Marketing Platforms? How much of this content is original? Do they have several hundred blog posts or a small handful? Are they posting something new each week or once every few months? Is the content structured for readability? Do you see social sharing buttons with each article? Are there linked to their social media channels in the header, footer, or somewhere else? What is your competitor doing well? Are there opportunities in the market that your competitor has identiﬁed? In what areas, would you consider this competitor as a threat? So now that you know what you’re going to compare, it’s time to start the competitor analysis process. For each competitor, set up a spreadsheet or download this helpful Competitor Analysis Template. Uncovering Intel is only the ﬁrst step. If you’re not using it to your advantage, you’ll end up wasting all your hard work. After you’ve audited 3-5 competitors, you’ll be ready to analyze your results. Highlight any rows of data that stand out on your spreadsheet. These may be areas where your competitors are doing well or those they’re not doing so great. Next, come up with the speciﬁc steps you’ll take to improve your current position. You’ll want to break this into goals that get broken down into speciﬁc weekly and daily tasks. What marketing, sales, or product/services improvements need to happen? How should we change our strategy? What changes do we need to make internally? What materials, campaigns, and processes need to be updated to gain a competitive advantage? In a separate tab on your spreadsheet, write down this action plan and the exact steps you’re going to take. After a few months of making changes, take a step back to analyze how you’re doing. Go back and review your action plan. Take note of how effective it is. Are there any areas that you can improve on? Are there areas that your team is doing well with that you can expand on? What’s working and what has missed the mark with your audience? Remember to use this intelligence as a guide in your marketing strategy. You don’t want to copy your competitor’s every move and lose your unique point of view. Instead, use what you uncovered as a starting point for strategies that will make your business outshine the competition. If you find this work tedious consider hiring a virtual assistant to help, the second pair of eyes is never a bad idea. What are some helpful things you discovered while completing your competitor analysis? Do you have any other tips to share? Share them in the comments section of this blog post.